Another beautiful day in paradise. A well-known cliche I know but very apt when I look out of the window at the green Troodos mountains and the perfect blue sky beyond. I think we are very lucky. We are healthy and living our life as we want. Yesterday I had my first radio interview. As a complete novice I had no idea what was going to happen. 'just treat it as a phone conversation' a friend had said beforehand. All very well but you only get one chance at putting yourself across, being human you want to make an impression. Nerves are a funny thing aren't they? I absolutely hate standing up and addressing an audience even if it means lots of book sales. 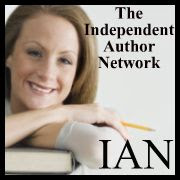 Would a radio interview be any easier despite knowing that there are thousands of listeners out there and they could all be potential buyers and readers of your book. I like to think that it all went well. Nicki, the presenter was gorgeous. Chatty, relaxed and above all friendly. She knew about The Crossing, had done her homework, and soon had me more at ease. She had three big questions to ask and apart from the first when I was still finding my feet, I manged to put forward coherent answers. The ten minutes flew past and we were soon saying out goodbyes and thank yous. I look forward to receiving a copy from her and it will be posted on here and also on the Olympia Publishing site if you are interested in hearing it. Today I plan to write another chapter on The Assassins' Village - hope it goes as well as yesterday. Writing may be the easy part. Today started well. Our family of swallows are swooping around outside catching their early morning breakfast. The day here starts relatively cool 26'C degrees or so and then steadily builds to around 30ish. You know when it's hotting up outside as the cicadas or ziziros as they're called here in Cyprus start their noise. I have to say it's one of my favourite sounds and evocative of childhood and family holidays. The house renovations are coming on well -I may have my'space' in which to write quite soon! So far I have learnt to point and build walls of natural stone, tile and grout, completely design and lay a garden, along with another 101 odd jobs. Life is certainly not dull. After I've posted this I plan to spend some time on book number 2 - The Assassins' Village. I was awake in the night for a couple of hours and have now planned another couple of chapters. Tomorrow I am giving a live interview on radio. If you get a chance listen in to Unity 101 Southampton FH101.1 MHz at 1630 BST. Why is the weekend busier than the rest of the week? There is certainly no time for sharpening the pencil and getting down to business with the new book. Perhaps it's something to do with the fact that we always buy old houses that need tons of renovation and love spent on them. This morning I've helped tile the downstairs bathroom floor and cleaned up after C's mess. This afternoon I need to go through all paperwork, throwing away redundant old files and manuals for goods that we no longer own or are totally defunct. Boring but necessary to make way for the new cupboard that we're going to be building this week. and then tomorrow, Sunday... Well I won't say anymore but perhaps I'll look thorugh my previous chapter and start doing a bit more plotting. How on earth did I ever manage to hold down a full time job, bring up kids and write? Still at least I am free to think while I'm doing some of these tasks and sometimes that is more important than the actual craft of writing.